Neal Street Productions The first episode of Season 2 started off with some pretty heavy issues. While I know that midwifery, especially working in a low-resource area, can be emotionally and physically difficult, I was still surprised to find that I needed to do an awful lot of reflection after the episode. 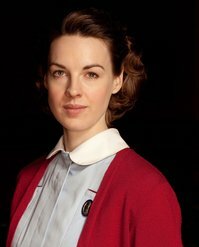 I found a lot of parallels between the situations that arose in 1950s London in this episode and my own experiences as a midwife and a home visiting nurse in Detroit. For my job at Nurse–Family Partnership, I visit first-time moms in their home every one to two weeks, beginning when they are pregnant, and through infancy and the beginning of toddlerhood. We help prepare for childbirth, parenting, provide resources and answer any questions they may have. What I’ve come to find out is that we hold a very unique relationship with these moms because we do visit them on their own turf; we see a side of them and their families that many other members of the health care team will never see. We become a source of support to guide them through this pivotal time of life. However, it’s really difficult to distance yourself from some of the problems or challenges these moms face. I could really empathize with Jenny Lee and her patient, Molly Brignall. Sometimes, we feel like we know the right thing the patient should do, but it’s really not our place to make that decision. Even though we feel we know best sometimes, our job isn’t to fix everyone. You can’t solve every problem. You have to let people make decisions for themselves sometimes, even if you think they are making the wrong decision. Now, nurses and health care providers are “mandatory reporters,” which means that if they feel that someone may hurt himself or herself, someone else, or if they suspect abuse, they must intervene and report it. However, there is so much that can fall into the “gray zone” like Jenny’s case. She could report the abuse to the police, but if Molly wouldn’t press charges herself, there was nothing they could do, and it might actually keep Molly from getting the care she needed from the midwives. It can be very hard not to judge someone who we believe is making a bad decision, but that is part of our job. We have to provide the resources and support, but we can’t make their decisions. 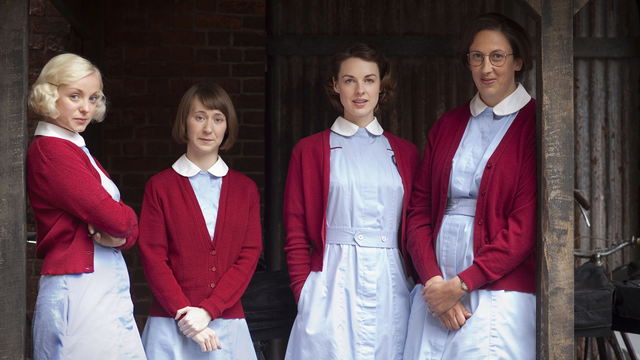 The theme of supportive and compassionate care provided by the midwives was echoed throughout the episode. Like Tish mentioned in her post, Trixie and Sister Evangelina helped Kirsten feel cared for, valued and respected, maybe for the first time in a long time. Allowing the women to make their own decisions about whether or not to use the pain relief options — even if poor Dr. Turner did have to lug the gas all around town for them! — was another way the midwives supported their patients. Midwifery is not an easy, 9–to–5 type of job. You can’t always turn off your brain or stop thinking about your patients. You will be getting phone calls in the middle of the night, and there will be times when you’ll miss dinners and holidays with your family. But there’s no other job I would choose for myself. We also get to do a whole lot of great things: reassure a new mom by answering questions, help her feel empowered, provide her with options, let her make decisions she feels are best for her family (no matter how hard that is), and best of all, be there to welcome her baby “earthside.” I wouldn’t trade this for the world, and I’m so glad that Call the Midwife allows everyone to see a little glimpse into what our world is like.